Despite the drop in the number of cases of measles, the city government of Davao has urged the Dabawenyos to avail of the free vaccination against the highly contagious infectious disease. 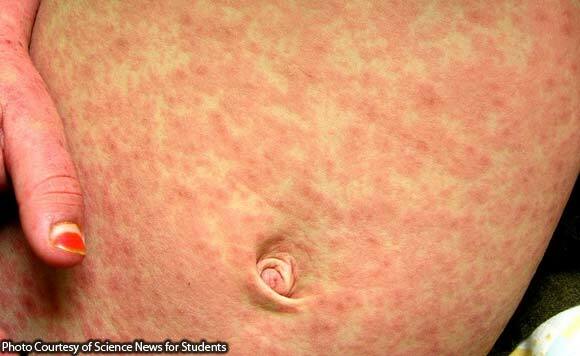 The call came as measles outbreak has been reported in the National Capital Region, Central Luzon and other parts of the country. “When one in the family has measles, everyone will get measles so we are urging the public, especially those who have not been immunized, to go to their health centers to get vaccinated,” City Health Office head Dr. Josephine Villafuerte said. She said that the vaccine is free-of-charge and there are enough vaccines for everyone. “All of the health centers in Davao are offering measles immunization for children, even those out of the target age. We even give vaccines to adults and institutions and offices,” she added. At the same time, Villafuerte said that cases of measles in the city fell in January this year compared to a year ago level. “As of February 4 this year, we have recorded only 45 cases of measles in Davao City. It has significantly dropped considering that January last year, we had 141 cases,” she said. She stressed that the anti-measles vaccines are proven and tested to be safe. The Department of Health has blamed the increase in the number of measles cases on the fear created by the alleged disinformation regarding Dengvaxia, an anti-dengue vaccine. Measles is a disease that comes from the rubeola virus and commonly affects children aged 6 months up to 12 years old. Its symptoms include high fever, cough and colds, swollen eyes and red rashes all over the body.